Lawrence Anthony is a bestselling author of 3 books. Journalist Graham Spence, who is also his brother-in-law, is his co-author of these books. 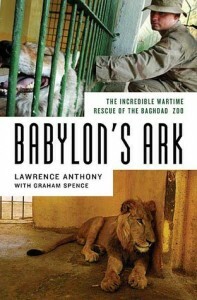 Published 8 July 2008, Babylon’s Ark depicts the story of how Lawrence Anthony led one of the greatest animal rescues of all time. When the Iraq War started, what bothered Lawrence Anthony greatly was the fate of the animals in Baghdad Zoo, which was also caught in the crossfires of the war. Entering Baghdad, Lawrence Anthony, together with a small group of zoo staff members and a few U.S. soldiers, defended the zoo with his life, saved all the animals that he could, and overcame all odds to get the zoo up and running again. 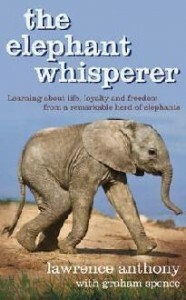 The Elephant Whisperer was published 1 December 2009. Lawrence Anthony is a devoted animal conservationist, and together with his wife Francoise, bought the Thula Thula game reserve in Zululand. Shortly after, he was asked to accept a herd of wild elephants which had been termed rogue and troublesome, and which would be killed if he refused to accept them. Thus, staying true to his love for animals and his desire for animal conservation, he brought the herd of elephants in. Lawrence Anthony fought to create a bond with the elephants, even staying out in the reserve and napping in his Land Rover just to stay close to them 24/7, and eventually came to be regarded by the elephants as family, doing what others thought was impossible and saving the elephants’ lives in the process. 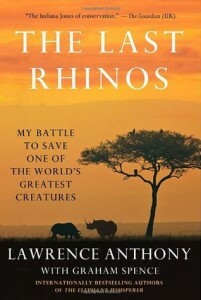 The last book authored by Lawrence Anthony and published 20 August 2013, The Last Rhinos tells the story of how Lawrence Anthony tried to bring the northern white rhinos living in the Congo back from the brink of extinction. It was a dangerous and difficult task, with the presence of poaching and the black market for rhino horns to satisfy the huge demand for it in the Far East. Not only were the rhinos’ lives endangered, but the rangers and caretakers’ lives were threatened. The white rhino’s last place of refuge was in an area that belonged to the notorious Lord’s Resistance Army, which was one of the most brutal and savage group of rebels in the world. 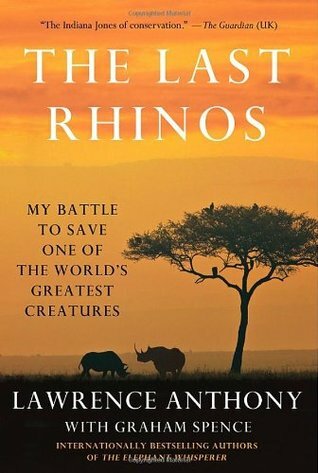 This book tells of how Lawrence Anthony made a treacherous journey deep into the hearts of the forests to try to find the rebels, in an attempt to convince them to help him save the last northern white rhinos.